Wish I Was Scrappin!! : Yellow makes me HAPPY! This week at Clear It Out Challenge, it's a color challenge! Yellow! Use all things yellow on this week's project! Our sponsor this week is Lacy Sunshine! I absolutely love her images!! 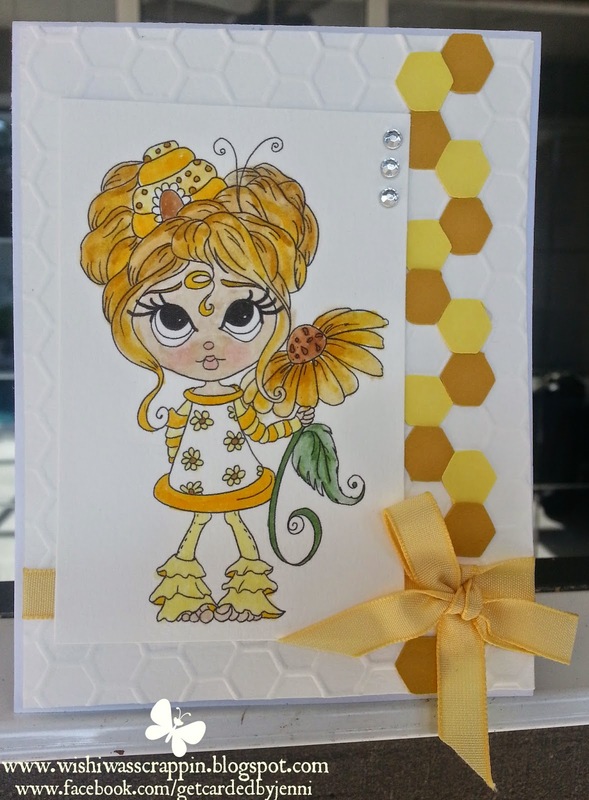 I colored her in with my Tombow Art Markers, cut the hexagons on my Cricut at 1/2" using scraps. Embossed the background with a Tim Holtz Embossing Folder, popped it up and added some Stampin Up ribbon in Saffron. Don't forget to join us by adding a little sunshine to your project! And be sure to visit out sponsor!! Time for a sketch Challenge! !